I've mentioned that I recently became a member of the Food In Jars Facebook Community. Food In Jars (and its author, Marisa) is one of the best and most comprehensive resources for beginning and advanced canners aside from Ball and The National Center for Home Food Preservation (the USDA-sanctioned organization for canning safety in the US). If you're looking to get into canning, I highly recommend Marisa's first book, Food In Jars. 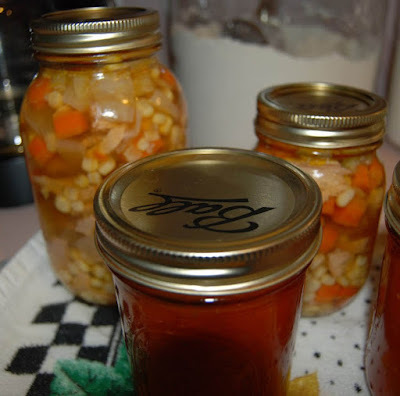 One of the questions that has come-up on the Facebook Community over-and-over is, "How do I get into pressure canning?" As an experienced pressure canner (and pressure cooker), I'm usually the one to pipe-in with an answer. This post is an expansion on my usual response and I hope it's helpful to everyone. Everyone has heard tales of Grandma's pressure cooker "exploding" and sending food up all over the ceiling. Combine that with the idea of broken glass jars and people are naturally scared. The truth is that there's very little to be scared about. All pressure cookers and canners--even ones built during WWII--have safety devices that prevent actual explosions and it's nearly impossible to open a pot under full pressure. What Grandma probably experienced was the backup device, a pressure relief plug (essentially, a rubber cork) doing its job. The unfortunate side effect is that the contents of the pot comes streaming upwards. While it's thankfully projecting away from your face and body, it does redecorate the ceiling. If you're still worried, consider this fact. The rubber tires on most cars are inflated to about 35psi (pounds per square inch). Pressure canners are made of metal and operate at 10 to 15psi. That means your tires are under more than double the pressure and made out of a much more likely material to puncture. You've more of a chance of your tire bursting and causing a traffic accident than you have of a pressure canner exploding. The important part is to know your canner. Read all the instructions. Know how all the features work. Keep it clean and in good repair. Do all that and you'll have no problems. Pressure canners and cookers work under a pretty basic principle. You have a large pot with a tight-fitting lid with a locking mechanism and a silicone or rubber gasket to trap steam inside. The steam builds-up, increasing the pressure inside the pot. When pressure increases, so does the boiling point of water. At a pressure of 10psi, water boils at about 240 degrees instead of the usual 212 degrees. This higher temperature is enough to kill botulism spores, which produce a nerve toxin that can be fatal (212 is not). The second component of your pot is a pressure regulator (often called a jiggler). The regulator sits atop a straw-like pipe in the lid of the pot (called a stem). When the pressure goes over a certain psi, the regulator will tilt slightly and let some of the steam out. This gentle back-and-forth rocking motion allows just enough steam out to keep the pot at the desired pressure (usually, 10psi for canning and 15psi for cooking...more on that later). Some pressure cookers have spring-loaded regulators instead of jigglers but most pots specifically designed to be a "canner" have an old-fashioned, tried-and-true jiggler. The last component of your pot is a safety relief valve. There are any number of designs for this, but the most simple and common is a basic rubber plug in a hole in the top of your pot. Should the stem become clogged during cooking and the pressure were to rise above safe levels, the plug would shoot out of the hole and release steam (and food or water) to relieve pressure. Okay, so Which Canner Should I Buy? #1 - Buy yourself this replacement 2-part regulator for the Presto canner. 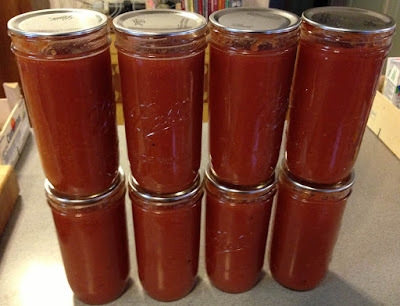 Most canning recipes call for 10psi and the pot ships with a 15psi jiggler. This means you need to regulate the pressure by watching the gauge and tinkering with the stove dial to adjust the heat throughout processing. The three-part jiggler allows you to take one ring off the weight and it will keep your pot at a constant 10psi, even if the heat is a little too high. It's great insurance, especially if you're working with an electric stove. #2 - I don't recommend the 23qt pot unless you know you're going to be doing full two-layer batches of jars at least 95% of the time you can. And keep in mind, you can only fit one layer of quarts and a 2nd layer of pints or two layers of pints. When you do smaller batches in the bigger pot, you have to fill the empty space with steam before the pot comes up to pressure, which means a much longer time spent processing. A 16qt pot is perfect for most people. And, it's smaller and easier to store. Can I Use A Pressure Cooker, Instant Pot, or Electric Pressure Cooker as a Canner? In short, no. 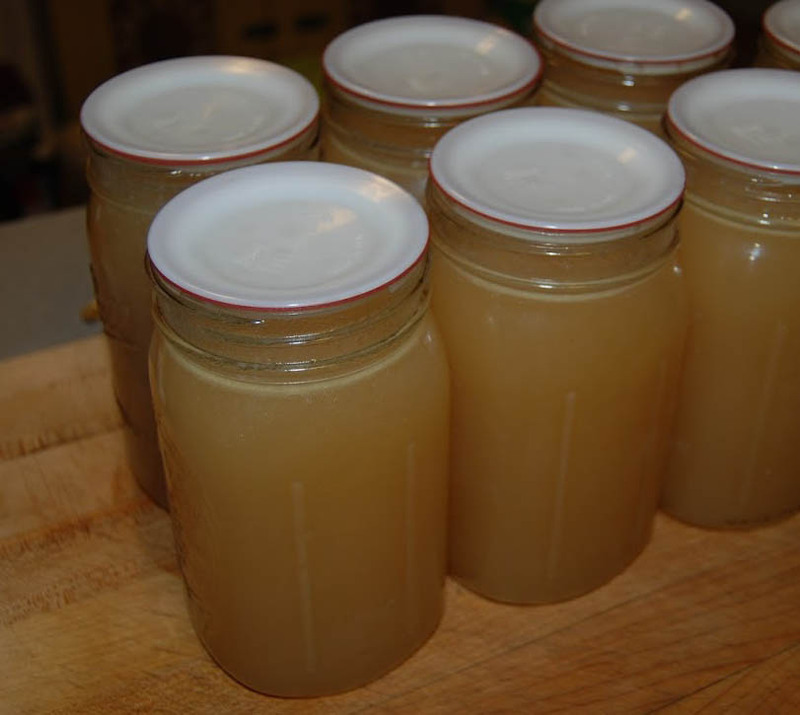 The NCHFP's official word on the matter is, "The USDA recommends that a canner be large enough to hold at least 4 quart jars to be considered a pressure canner for the USDA published processes." It appears there are two major concerns. First, their recipes were only tested with these larger pots and the general rule of thumb with the NCHFP is, "If we haven't tested it, it's not recommended. Period" Secondly, larger pots have more volume inside the pot and thus, will take longer to cool-down and release pressure than smaller pots. Since the cool-down time is usually counted as part of the processing time for the recipe, a smaller pot cannot be trusted to process for the right amount of time. As for electric pressure cookers, the message is almost the same. There's a concern about size and the fact that no electric pressure cookers or canners have been tested by NCHFP. Additionally, the sensors and mechanisms by which these devices detect and maintain pressure are unknown. You would think that an electronic pressure sensor would be used and would be more accurate, but it's not clear that those are consistently used. I've personally seen my own Instant Pot report that it had achieved pressure and start counting when it actually hadn't. My hope is that one day, Ball will develop and test a pressure version of their FreshTech pot. Until then, we're out of luck in this arena. This is a real problem. You can claim anything on your packaging and website, but it doesn't mean the device has been lab tested to work in accordance with NCHFP-approved recipes. Two manufacturers in particular stand out. One is Instant Pot. They're a Canadian company and couple of their pots do claim to be pressure canners. However, when questioned by U.S. canning experts, they've since walked their stance back and put in a disclaimer. The other is Fagor, which is an extremely reputable pressure cooker company (and one of the only ones that readily works on an induction cooktop). They sell one or more pots that are large enough to fit 4 quart jars (per NCHFP instructions) and even include pressure canning recipes on their U.S. website. However, they appear to use a spring-loaded pressure regulator that only regulates at 15psi, which is far above the 10psi most tested recipes call for. This wouldn't be unsafe, but will process your food at a higher temperature and unnecessarily overcook it. Also, NCHFP's guidelines and testing only apply to weighted regulators or those with accurate pressure gauges. So the bottom line is, use the Fagor pots at your own risk. They probably work but are untested and will overcook your food. With a tested recipe, of course! You can find recipes and how-to's on the NCHFP website and the Ball FreshPreserving.com website. As far as books go, I recommend the Ball Complete Book of Home Preserving as a starter. The last chapter is dedicated to Pressure Canning recipes and covers all your basics (tomatoes, soups, stews, broths, etc.). Another good resource that's sadly out of print is The Joy of Cooking All About Canning and Preserving. If you can find yourself a used copy, grab it. It's a great book. Can I Pressure-Can My Own Recipes? Recipes with meat or meat broth in them or very varied ingredients, such as soups and stews (~75-90 minutes). Vegetable-based soups with a variety of vegetables (55-85 minutes). The specific ingredients are mostly irrelevant within each category because it's the high-temperature that's killing and warding-off the bacteria and spores, not acidity (as with Boiling Water Bath canning). As long as you don't produce a product that's substantially more dense than the original, you can borrow processing times from a similar tested recipe and apply it to your home recipes with a fairly low safety risk. Disclaimer - Let me stress...it's up to YOU to decide what level of risk you can live with for you and your family and it's good practice to always tell someone you've shared a jar with if you've deviated from NCHFP safety practices and tested recipes. 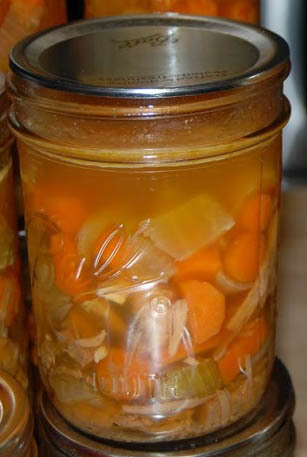 Botulism is serious stuff...it's a nerve toxin that can kill you and it's colorless, odorless, and thrives in low-acid oxygen-free environments (like the inside of a canning jar). I feel comfortable with the above recommendations for me and my family. You need to make the same call. Whenever possible, start with a tested recipe and modify it slightly. You'll always be safer this way. If you really want to can something that you can't find a tested recipe for, find the closest tested recipe. For example, beef stew in place of your homemade chicken stew. Borrow the processing times from that recipe and try not to alter the ratios of ingredients (meats, veggies, liquid) so much that you affect the density of the finished product. Stay away from the usual "no-no" list of ingredients for canning, including: flour, corn starch, pasta, rice, dairy, and large amounts of oil or butter (a little bit to saute onions is fine). Don't try to can puree'd pumpkin or winter squash. NCHFP has determined the density to be too inconsistent to recommend processing times, even for pressure canning. The only tested and approved recipe for squash is one from the Ball Complete book for cubed squash in water and frankly, it tastes awful. I've tried it. If canning tomato products, there's no harm in still adding a little extra lemon juice to acidify the product (in fact, NCHFP recommends it). Belt AND suspenders. So that's it. That's all I have for now. Go buy yourself that a canner and get canning!